Then the Germans began moving thousands of British prisoners of war who had been captured at St Valery-en-Caux, Calais and Dunkirk. These soldiers were made to march many miles per day on their way to the trains and barges that were to take them to prisoner of war camps in the east of the German Reich. The prisoners were lightly guarded and escape was relatively easy, so as the columns of prisoners travelled through Belgium and the Netherlands to reach the barges on the Rhine, dozens of them were slipping away and finding shelter with sympathetic villagers and farmers. There, many of the soldiers stayed, through the summer and autumn, well fed and cared for, but with no obvious route home. By Christmas 1940 it became crucial that, for the safety of their protectors, the soldiers were moved on, as the consequences of being caught by the Gestapo for harbouring British soldiers were serious. Baron Jacques Donny was instrumental in gathering some of the soldiers in safe houses in Brussels and for financing the provision of their food and false papers. The soldiers staying in Brussels were moved from safe house to safe house but they also used the bars and cafes and even took jobs to help earn their keep. Many of them learned to speak French and some even Flemish and could mix easily with the locals. However this casual attitude threatened to compromise the security of the operation. Belgium was surrounded by occupied countries and the organisation in Brussels had no coastal escape route, so plans to move the evaders onwards, through France and into ‘neutral’ Spain, began to be considered. In Spring 1941 a small group of Belgian friends, known as ‘The three Ds’ after their names, De Bliqui, Deppe, and De Jongh, were instrumental in providing the organisation with food, official papers, and safe-houses. In April 1941 De Bliqui was arrested and later executed [due to infiltration of the group by Prosper Dezitter an agent for the German security forces, the Geheime Feldpolizei (GFP)]. Arnold Deppe, a cousin of De Bliqui, began working in earnest to investigate a route into Spain. Deppe had worked with a film company throughout the Basque region before the war and knew the area well, having been based at times in St Jean de Luz and San Sebastian. He now returned to the area and established a route over the mountains to include border crossings and safe-house accommodation. Safe-houses were set up in Paris and Bayonne and Deppe also arranged for Basque smugglers to take evaders deeper into Spain. Meanwhile, Andree de Jongh [Dedee] and her father Frederic de Jongh were setting up arrangements at the Brusels end. In July 1941 Arnold Deppe, Andree de Jongh, a small party of Belgians and a British agent Frederique Alice Dupuich travelled the new route. 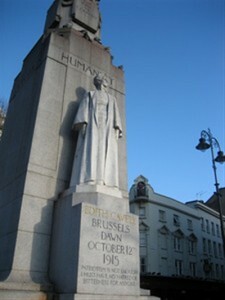 It took them by train from Brussels to Corbie in France where they had to negotiate the River Somme. Renee Boulanger [Nenette] had agreed to secrete a boat for them to reach her farm cottage to rest overnight. From there the group travelled on by train to Paris via Amiens. After a stay in safe-houses in Paris it was onwards by overnight train to Bayonne. just north of the Spanish border. Travelling on to Anglet they met up with the Belgian De Greef family. [Their home, The Villa Voisin, was to become the main safe house in the are.] Later, they made their way to the foothills of the Pyrenees to make the first crossing to San Sebastian and Bilbao, in August 1941. Deppe’s and De Jongh’s second trip, on 19 August 1941, was more eventful. 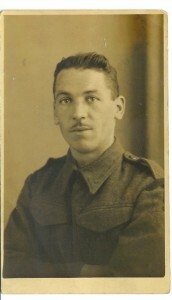 Arnold Deppe was arrested in Lille station with four Belgian Officers and two women – the line had been infiltrated. Fortunately Andree de Jongh had not taken the same route through Lille and so escaped the Gestapo net. She took the decision to continue and take her three remaining evaders, Scottish Gordon Highlander James Cromar and two Belgians, to the Pyrenees then on to British Consulate in Bilbao alone. 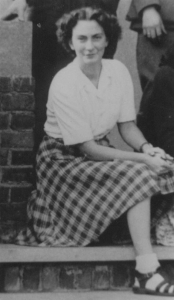 The consulate, very concerned that De Jongh could be a Gestapo ‘plant’, took a number of weeks to confirm her credibility – her youthfulness and slightness of build made them suspicious and doubt that she was capable of being in charge of such an important and dangerous operation. Once the British were satisfied, the Consulate agreed support for the escape line and asked for RAF aircrew evaders to be given priority for return to active service. Andree De Jongh was given the name of ‘Postwoman’ because of her important intelligence reports that were also reaching London from other agencies in Belgium. Her mail was referred to as ‘letters’ and her evaders as ‘parcels’. For a while the line was known as the ‘Ligne Andree’. By August 1941, two things happened that were to propel the network of friends into a fully-fledged escape organisation. Firstly there was the arrival of the first evading Royal Air Force aircrews due to the bombing campaign on targets in north-western Germany’s industrial cities and ports. The route the bombers flew often took them over Belgium and the Netherlands, so whenever a bomber was attacked by fighters or crippled by antiaircraft fire the likelihood was that it would crash or bale out in Belgium. Secondly there was a crack-down on the network by the GFP who were the plainclothes military police and agents of the Abwehr, the German military intelligence. Andree de Jongh moved her base to Paris. From her collecting points there she personally escorted many journeys south over the Pyrenees and into Spain. Brussels became a very dangerous place. The line was blown in February 1942. 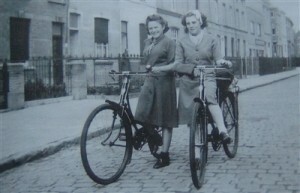 It was rebuilt in June, but the new organisation was again infiltrated and a number of arrests were made, including those of Andree Dumon (Nadine – Comete’s main courier between Brussels and Paris) and her family, on 8th August 1942. Jean Greindl took on the task of rebuilding the Brussels base completely and more evaders started moving to the Pyrenees. At the end of November 1942 two German agents, posing as American aircrew, caused many more arrests both in Brussels and the Pyrenees. Andree de Jongh, together with three aircrew evaders, was arrested on her 34th crossing on the 15 January 1943, at the safe-house of Francia Usandizanga in Urrugne. Further arrests in Brussels followed, including that of Jean Greindl, at the Swedish Canteen in the Rue Ducale. After the arrest of Andre de Jongh, Jean-Francois Nothomb [Franco], became Comete’s controller in the French/Spanish border area, retaining Comete’s legendary guide Florentino. Franco made crossing number 35 alone with Florentino, on the 24th January, to warn Michael Cresswell [Timothy Monday] at the British Embassy in Madrid of Dedee’s arrest. Antoine d’Ursel assumed responsibility for the organisation of the reformed line. Assisted by Fernando Radelet, they financed the evaders’ journeys. Radelet took over fifty evaders from the Limbourg area to Paris until he was arrested. The line had again been infiltrated, this time by a French Gestapo agent Jacques Desoubrie, using the name Jean Masson. In the south of France, Jean Francois Northomb [Franco] was ordered to take a low profile following the arrests at Urrugne in January, but by May 43 he was back in business using a route to the south via Bordeaux. The summer of 1943 became the busiest time ever for Comete, and also the most dangerous. With the arrival of Jacques le Grelle in Paris, in late June, safe-houses in Paris were overflowing. To ease the congestion Northomb reorganised the southern area into two further routes with a centralised safe-house system based on the Restaurant Larre in Sutar. Back in Paris, Henri Crampon, had joined up with Le Grelle, but he proved to be another Gestapo agent! In Belgium, Father Van Oostayen had linked together many smaller helper groups and with an outstanding guide, Lilly Dumon [Michou], they collected in over 150 evaders. 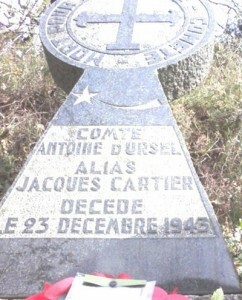 After a disastrous crossing of the border at the River Bidassoa in December 43, when Antoine d’Ursel and evader Jim Birch were drowned, Desoubrie once again infiltrated the Brussels to Paris link, this time under the name Pierre Poulain or Boulain. Arrests were made in Paris and Brussels in the new year. Desoubrie arrested Northomb, Le Grelle, and also Crampon, not realising he was an SD agent. The route into Spain from Urrugne to Oiartzun, via the crossing of the Bidassoa River and on to San Sebastian [often via the towns of Hernani and Renteria] was used by Comete in 1941/42 [see the Comete Freedom Trail]. To lighten the evader traffic along this route [The St Jean de Luz passage] MI9 requested additional routes. The new Bidarray Route was used only once with guide Martin Orhategaray. From July 1943 onwards, many evaders started from the Restaurant Larre in Sutar then followed the St Jean de Luz passage or one of the two eastern Comete routes. 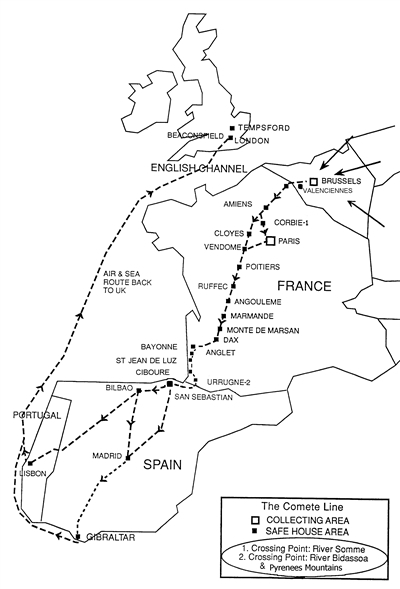 The first of these routes to be employed is known as the Larressore Route, which became very successful; in 21 crossings, between September 1943 and January 1944, 83 Allied aircrew and some French agents were transported. The journey via Larressore became rapidly congested. 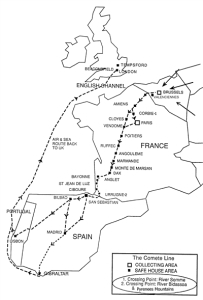 The 12 December 1943 saw the first of eleven crossings of the Spanish border via the Souraide Route, delivering a total of 41 men to the British Authorities in Guipuzoa. Initially Nothomb delivered the evaders into Spain, to the house Apehemenda near Danharinea. From there, they were guided further into Spain. In April 1944, Jean de Blommaert and Albert Ancia were parachuted in to reorganise Comete in France and Belgium. After an appreciation of the situation, which included considering the Allied plans for the destruction of the French railway network, MI9 took the decision to create ‘holding camps’ in remote areas to hold evaders until they could be liberated. Evaders were assembled in Brittany, the Belgian Ardennes and in the Freteval Forest near Chateaudun in France. In this operation Comete worked under the new Marthon Network organising many of the holding camps. The helpers paid a heavy price for returning back to England more than 800 men they had never met before. Over 60% of Comete helpers who had been deported to concentration camps never returned; many were executed or died due to torture, starvation, or beatings. The evaders who had been captured with the helpers were sent to POW camps. At the Liberation the survivors emerged from the filthy, disease ridden camps of Ravensbruck, Mauthhausen, Dachau, Gross Rosen and from many other camps. All were very ill, emaciated and many barely able to walk. Despite their situation, the helpers left the camps as a proud and respected group. Out of gratitude many evaders supported their helpers in their recovery. Andre de Jongh later entered into nursing, working mainly in central Africa. The Comete network [which had actually only assumed the name in 1943] was disbanded at the Liberation. Little did they know that decades later, following generations would still be walking their route each year to commemorate their courage and bravery. There is a great deal of information available about the Comete Line; further information is available on routes, safe-house keepers, couriers, and mountain guides. Other relevant organisations are listed on the ‘Other Escape & Evasion Sites’ page.